Microsoft today said the latest version of Skype for Android and iOS devices makes it possible to send funds to other Skype users via PayPal. 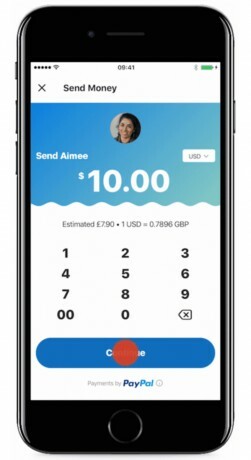 Users will be able to send money through PayPal without leaving the Skype app. The sender will need the new version of Skype to send PayPal funds, but the recipient can accept funds from older versions of Skype. Both the sender and the receiver, however, will need a PayPal account in order to fund and accept the money. If the recipient does not have a PayPal account, they'll be prompted to create one in order to access the funds. The service is available in the U.S. and 21 other countries, and supports the ability to send funds in various currencies. The new version of Skype is free to download from the Google Play Store and the iTunes App Store. Facebook Messenger and PayPal today made it possible for people to use their PayPal account as a source of funds when paying friends and family. Facebook Messenger has supported P2P payments for some time now, but previously required people to rely on their debit card for funds. PayPal today said it has deepened its relationship with Google and Google Pay in order to make it easier for people to make payments from their mobile devices and on the web. PayPal says people who add PayPal to any of Google's services will be able to pay across the entire Google ecosystem anywhere PayPal is offered as a payment option. PayPal today said it will sunset its Windows Phone, BlackBerry, and Amazon Fire Phone apps on June 30. After that date, Windows Phone, BlackBerry, and Fire Phone users will not be able to login to or use the Paypal mobile app.